and instantly producing the reports. To speed up the competition, the draw order separates pilots on the same frequency and/or in the same team. 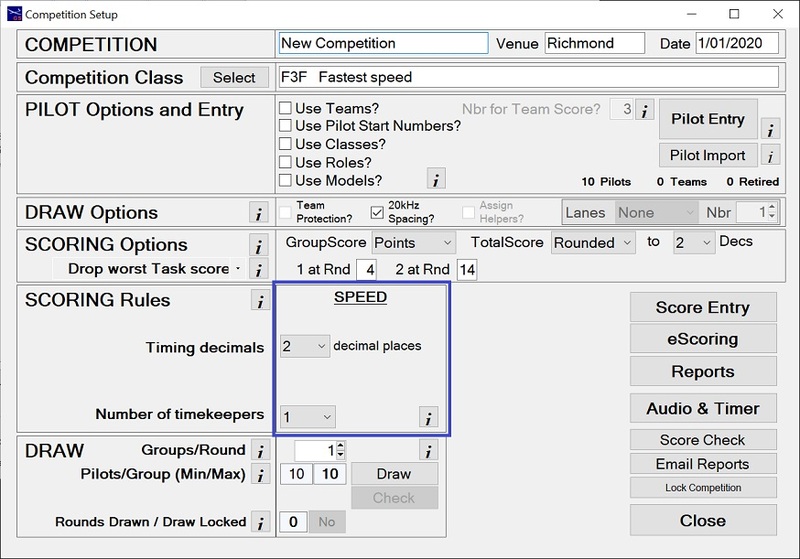 Note that the score calculation for F3F is exactly the same as for the F3B Speed task. The shortest time wins so please select 'Speed' as the task for your F3F competition. Creates a draw that keeps pilots separated in the order by frequency and team. Deducts drop scores at predetermined rounds flown. Expand F3F on the side menu to work through these features. Watch the Comp Setup F3F video.